Green energy co-operative Harborough Energy is launching a new crowdfunding initiative in a bid to secure £5,000 in prize money from high street retailer M&S Energy. Set up in 2014 to run and support affordable renewable energy projects in and around the Market Harborough area, Harborough Energy is using the crowdfunder initiative prior to the launch of its second energy share offer. Following the successful completion of a 57kW project in 2016, Harborough Energy is working towards the installation of an ambitious 150kW project in partnership with NBJ (London) Ltd, a local high-quality joinery business. The crowdfunder campaign will help to raise funds for costs previously covered by Big Lottery funding. 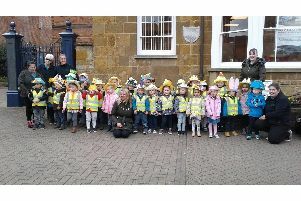 Harborough Energy is hoping that a successful campaign could also help them win one of two £5,000 prizes up for grabs from Marks and Spencer. M&S Energy is offering £10,000 for two community projects that are crowdfunding to bring the benefit of renewables and energy efficiency to their community. The first prize of £5,000 will go to the group that demonstrates community backing by gaining the highest number of supporters. The second prize of £5,000 will be awarded to the group that raises the most money, proving that the community will dig deep to achieve ideas that are important to them. Denise Marsdon of Harborough Energy is also urging anyone who is interested in benefitting from the project to make themselves known. Anyone can support the project by visiting www.crowdfunder.co.uk/harboroughsolarone or by following the link from the Harborough Energy website. The crowdfunder campaign will run from Monday, June 25, for three weeks.